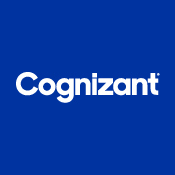 deal architect : Zoho: what if the entire software industry ran like this? Zoho: what if the entire software industry ran like this? Just about a decade ago, I ran a guest column from Sridhar Vembu which was striking in that he promised to invert the traditional software model which typically invests 10 to 15% of revenues in product, and 50 to 60% on sales and marketing. Sridhar had recently launched the Zoho Office Suite, personal productivity tools in SaaS format, and you could have dismissed his words as those of another ambitious entrepreneur. Last week, his team had a chance to show off to a small group of analysts what they have quietly been developing and selling in the last decade, and the progress is impressive. No longer just an Office 2.0 player, it is a broad ranged ERP and CRM player with 30 modules, 20 million users and a petabyte of customer data (BTW the entire presentation during the day used Zoho’s home grown tools). More importantly, how they have done it is even more impressive. Zoho uses a “pull” sales model which allows them to keep sales and marketing costs at a fraction of what many competitors need. Granted they are selling more to the SMB market but the savings are dramatic. Additionally, they are using partners to verticalize. Over the course of the day, they had 3 partners present their customized CRM aimed at insurance brokers, travel operators and solar panel installers. They claim 1,200 partners around the world which help generate a quarter of their CRM revenues. 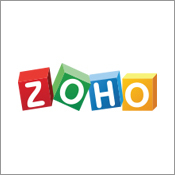 Zoho has a highly optimized development engine. They provided several examples of R&D staff at competitors compared to what they needed. In some cases, they need less than 5% of the headcount. Across their 30 products, they have 100 small development teams. Other than firewalls, switches and routers the infrastructure is open source. They invest heavily in scaling up Postgres rather than use Oracle on EMC gear. The recruiting and employee development model is dramatically different. Average tenure of employee is 10 years. 146 out of 150 managers have never worked anywhere else. Most executives we met wear several hats. None of their business cards have titles. They waste very little time in team meetings. 20% of their engineers do not have degrees. Focus on promise more than formal education helps Zoho recruit in India against the giant outsourcing firms where the majority of his development is done. In a side conversation, Sridhar told me he expects to increase developer productivity even more dramatically in the near future. The model is self-funded. Sridhar can point to many VC funded competitors who he says end up with a high cost/high-margin addiction which is deadly in the long-run. He points out Microsoft, Amazon and a few other very successful companies have largely been funded from cash flow. I could go on but I will run an interview with Sridhar over the next couple of weeks about the strikingly different ways he has built the company. Over and over, throughout the day, I kept asking myself what if the rest of the software and outsourcing industry were to adopt some of his principles. Contrast not just to other VC funded software competitors, but also to most Indian outsourcers who have lost what made them attractive – continuous improvement and productivity that their CMM Level 5 certifications promised.